Support SB 100 for 100 Percent Clean Energy! STOP FOSSIL FUELS. DEMAND 100% CLEAN ELECTRICITY FOR CALIFORNIA - SEND A LETTER SUPPORTING SB 100 NOW. Please help us pass SB 100 to ensure California has 100% clean electricity by 2045. This is our top climate bill this year, but we need YOU to help push this critical policy over the finish line! Why: 100% clean electricity is a critical step to a fossil-free economy. Then transportation, industry, and heating/cooling can run on clean electricity in a carbon-free state! 100% is Feasible: In 2016, California met the 2020 mandate for 33% renewable energy resources—four years early! On May 16, wind, solar, hydro and other renewables supplied 42% of electricity demand on California’s electricity grid. Wind and solar generated enough energy in 2017 to power 4.4 million California homes (over one-third of all households). We CAN transition to a clean energy future — and must pass SB 100 this year. 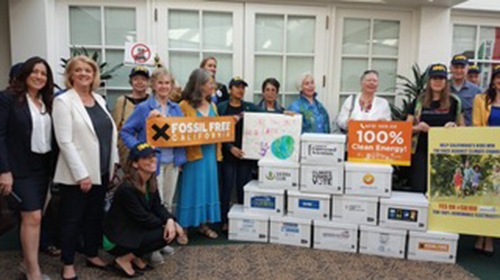 Stop Big Oil – Oil companies want to stop SB 100 from passing. “What’s the rush?” “Too expensive”, their lobbyists say. They are spending millions to stop climate action in Sacramento. We cannot let Big Oil continue to make people sick and destroy our environment. Let's Take Action Now! Send this letter to urge your Assembly member to vote YES on SB 100 before the vote in August. See a list of 250+ other supporters of SB 100 here. Together we can protect people and the planet. 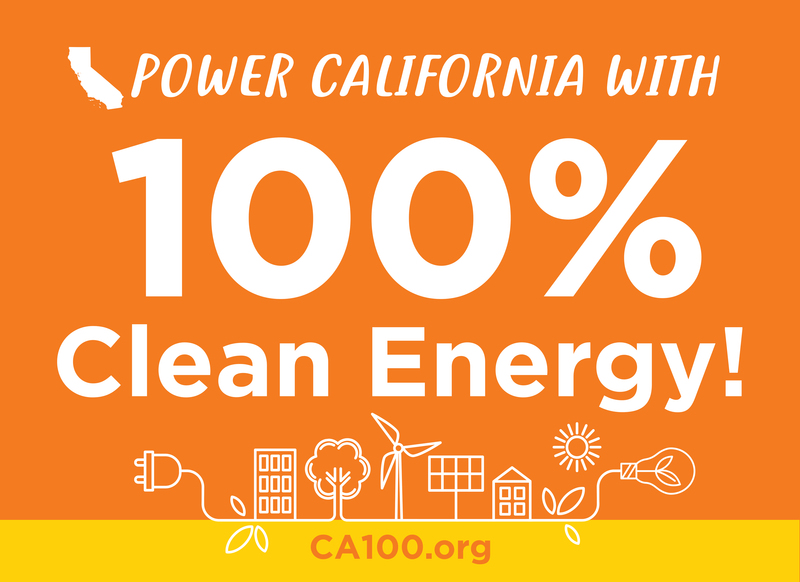 Thanks for helping California lead the nation to 100% clean electricity!